Everyone loves their mom and always wants to find the best gift to make her feel loved and appreciated. These are the gifts I have found and would love to share with you. After you enter my giveaway head over to Makobi Scribe to see her mothers day gift ideas worth over $3000. Then stop by Sason & Pobi to enter the grand prize drawing of a Toshiba 32SLV411U - 32" class 720p 60Hz TV/DVD Combo! Here at Why We Love Green, you can win three great products from Fresh Wave to make your home smell clean and fresh the natural way! We all know that moms value a clean and fresh home, so any mom will love this practical and eco-friendly gift! 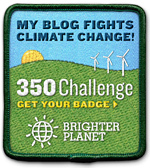 Enter using the Rafflecopter form below and then hop to all the other blogs to enter their giveaways as well! I'll admit it, we had some areas in our apartment that are a little stinky. Under the sink, for example, or in the slightly-damp basement. I am not a fan of those heavily scented aerosol sprays, as they are bad for the earth and can be damaging to kids' lungs. 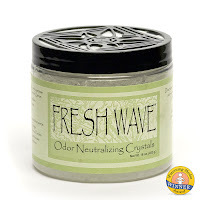 So when I heard of Fresh Wave, I was so excited to learn that their deodorizing products eliminate odors naturally! Fresh Wave products are safe and non-toxic and include simple, natural ingredients such as lime, pine, cloves, and cedarwood. These are products that I feel safe having in my home and having my family breathe! Plus, they are made in the USA! Not only are they safe, but they are effective as well! We received the Fresh Wave Home Spray to review, which can eliminate odors in the air and in fabrics! This is perfect for those times when your clothes or sheets need a light refresher. The scent to me is woodsy and very pleasing. The scent actually went away very quickly, leaving nothing but clean smelling air and fabrics behind! 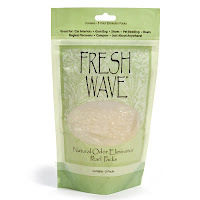 Next, the original Fresh Wave product is the Crystal Gel. This little tub can do amazing things and has even won the iParenting Media Award! 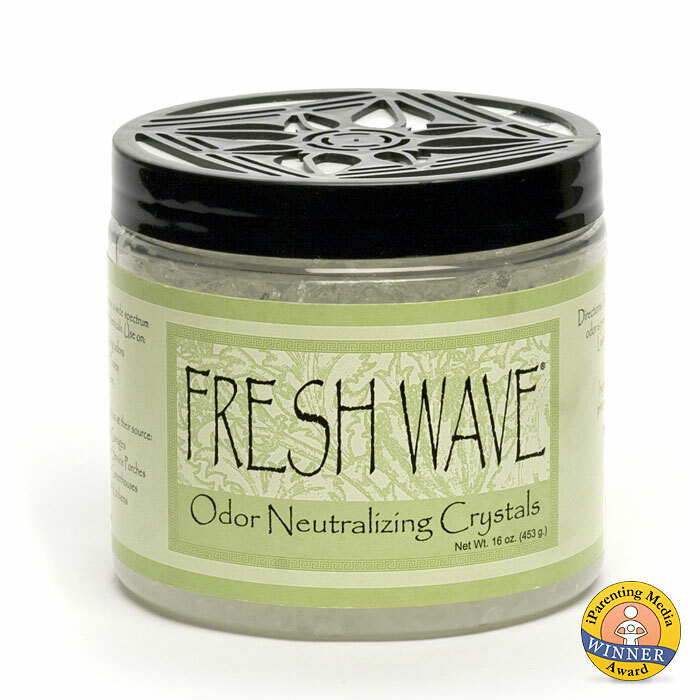 There are other wannabe products out there that may seem similar to the Fresh Wave Crystal Gel, but I feel safest with a natural option. We are so excited to use this in our basement to get rid of the damp smell in that large area! Another feature that I like about the Crystal Gel tubs is that you can buy refill gel, so that you are not wasting tons of packaging by buying individual new tubs every 60-90 days. 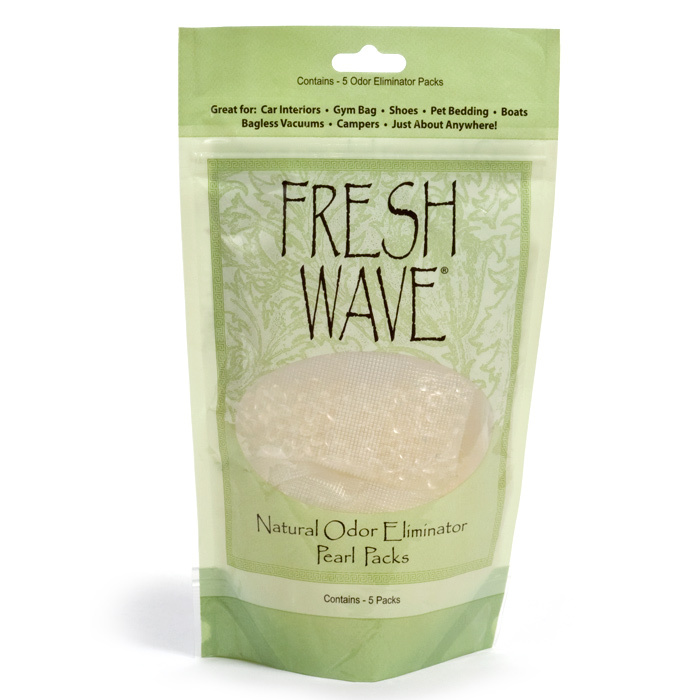 Finally, we also are in love with the natural Fresh Wave Pearl Packs! These little packs come five to a package and can slip in anywhere odor hides. I have a pack under the sink right now and one is slated to be inserted into our diaper pail. Under the sink has never smelled so good! This little Pearl Pack is a miracle worker! Other great places for a pear pack include in the car, shoes, fridge, or gym bag. 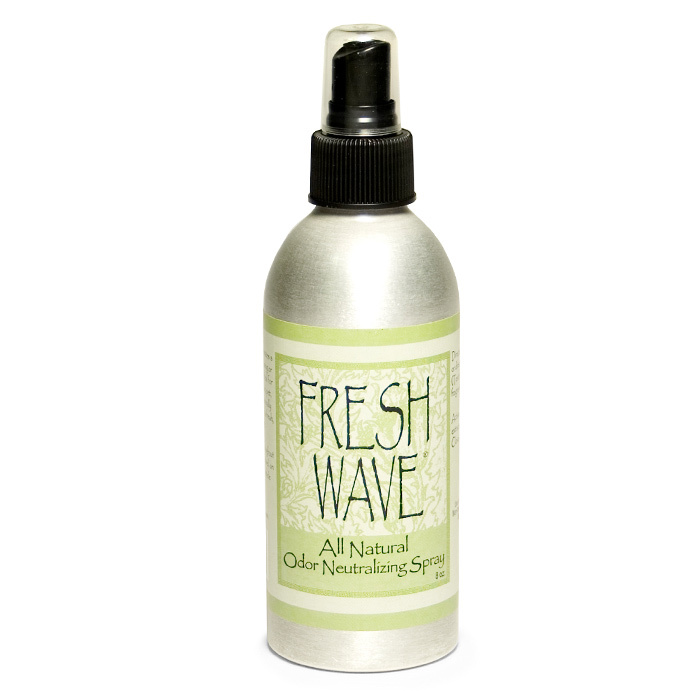 You can win one of each of these amazing Fresh Wave products! Enter using the Rafflecopter form here.